SKU: books16. Category: Photo and art albums, Porcelain. 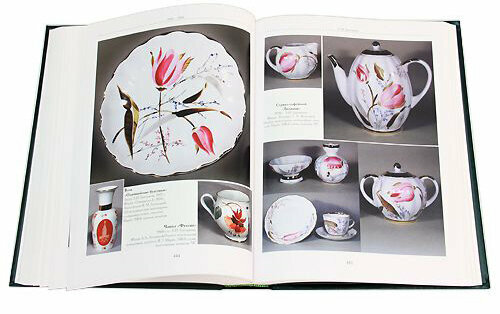 The Imperial Porcelain Factory (or Manufactory) (Russian: Императорский Фарфоровый Завод, Imperatorskii Farforovyi Zavod), is a producer of handpainted ceramics in Saint Petersburg, Russia. It was established by Dmitry Ivanovich Vinogradov in 1744. 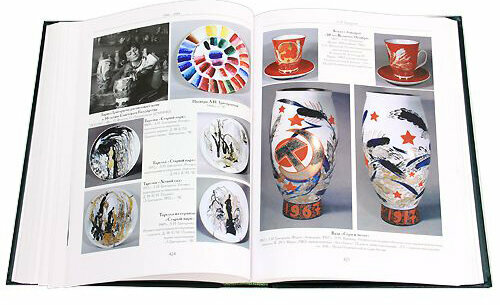 Many still refer to the factory by its well-known former name, Lomonosov Porcelain Factory. With the abolition of the Russian monarchy in 1917, the Imperial Porcelain Factory was renamed “State Porcelain Factory” (GFZ – Gossudarstvennyi Farforovyi Zavod) by the Bolshevik regime. During the early years of the Soviet Union, the GFZ produced so-called propaganda wares, ranging from plates to figurines of the Soviet elite. In 1925, on the occasion of the 200th jubilee of the Russian Academy of Science, it was given the name of the academy’s founder, Mikhail Lomonosov. 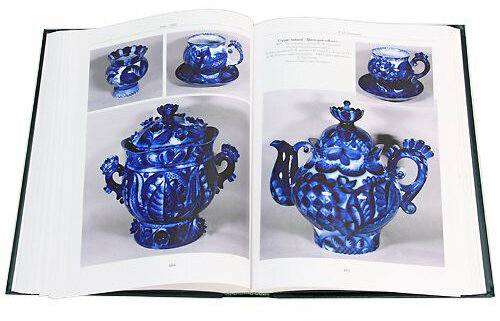 It became known as the Leningrad Lomonosov Porcelain Factory (LFZ – Leningradski Farforovyi Zavod imeni M.V. Lomonosova). 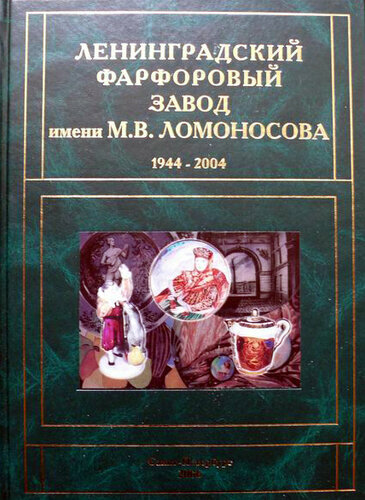 The newly christened Lomonosov factory produced a range of wares, including collectible animal figurines and dinner sets. Its best-known pattern, cobalt net, first appeared in 1949. The design is based on a pink net pattern that was painted on raised lines cast into the porcelain dinnerware pieces of Catherine the Great. 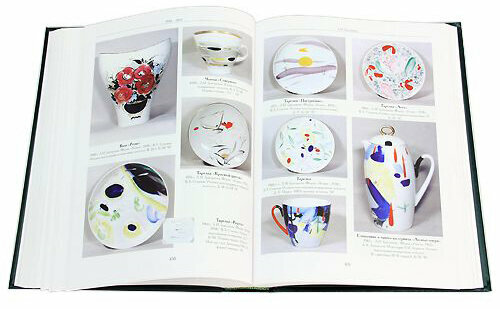 The factory has actual examples of Catherine’s dinnerware with this design. The new design pattern is a combination of intersecting lines of cobalt blue with inverted tear drops of cobalt blue (made from mineral cobalt) and 22 karat gold accents.